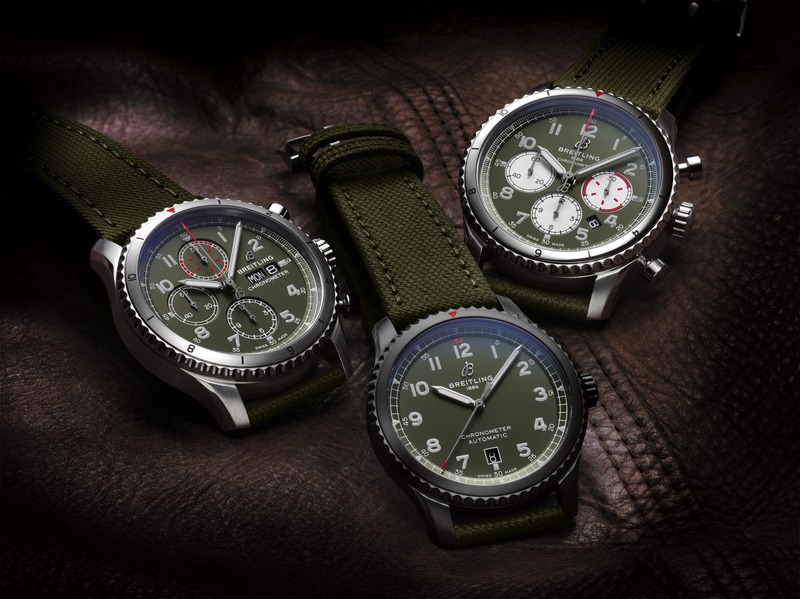 Breitling recently introduced the Super Avenger Blacksteel Chronograph. The watch features a 48 mm stainless steel case finished with a carbon nitride treatment. The dial has a satin black surface accented with red hands and white numbers, for a sporty look. 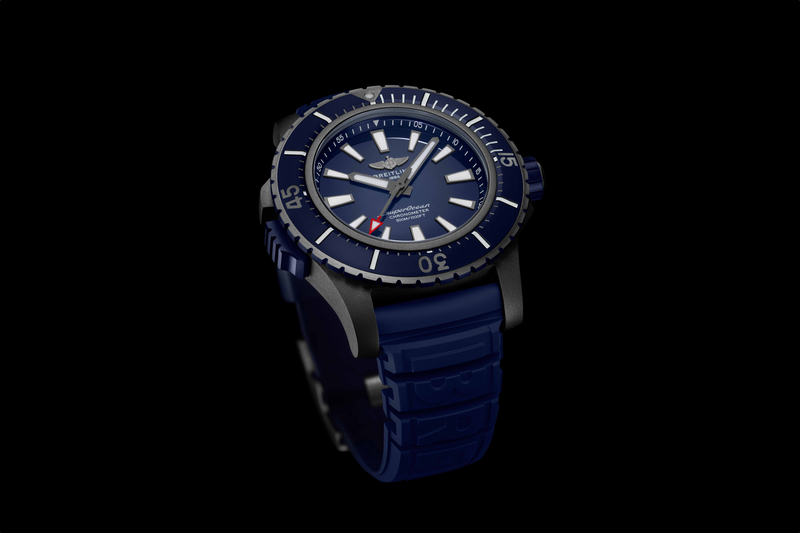 The domed sapphire crystal (double-sided anti-reflective), screw-down crown and solid caseback allow the watch to withstand pressures down to 300 meters. The mechanical movement is a Breitling Caliber 13 which is based on the Valjoux 7750. It features date, subsidiary seconds and chronograph complications. 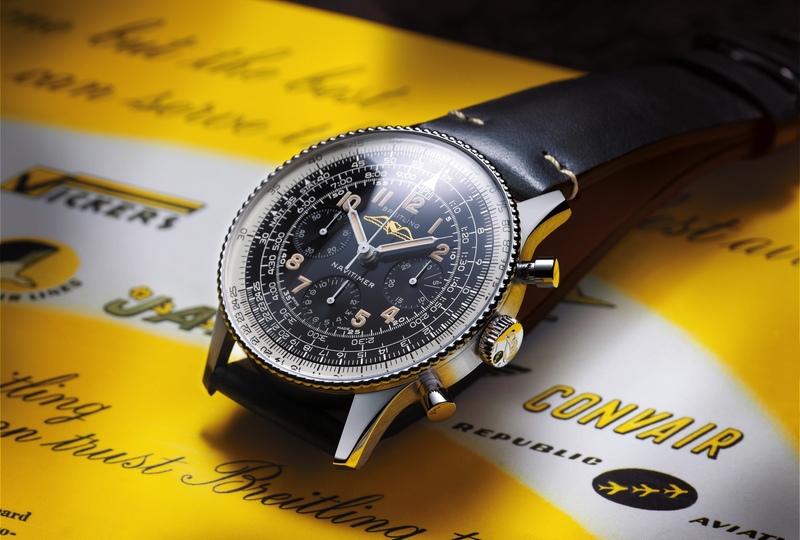 This watch is tested by the COSC, and like all Breitlings it’s a certified chronometer. Each timepiece is fitted with a rubber strap and a tang buckle with a black carbon nitride treatment. Available in a limited edition of 3,000 pieces worldwide.